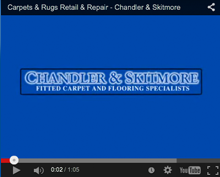 Chandler and Skitmore Ltd are a family based carpet shop in Norwich, established since 1968 and offering a wide range of carpets and flooring from all the leading manufacturers, see our products page for details. Based on the Reepham Road, Hellesdon, Norwich, we are proud to have built up a fantastic reputation based on our quality work giving us recommendations and repeat custom. 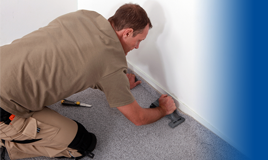 We believe that every customer deserves the best service, and so Karl Skitmore personally handles each and every order to ensure that you get the best quality flooring at the most competitive price. We are more than happy to come to your home and offer a FREE measuring service along with showing you a large selection of carpet and flooring samples to suit your needs, or you can come and browse at your own leisure in our showroom. Why not call us now and let us do the running around? To get our ‘good old fashioned service’ where nothing is too much trouble you would expect to pay top prices, but with our wealth of knowledge and experience in the trade we negotiate the best prices and pass this on to you, our customers. If you find all this too good to be true, get in touch today, you’ll be glad you did!